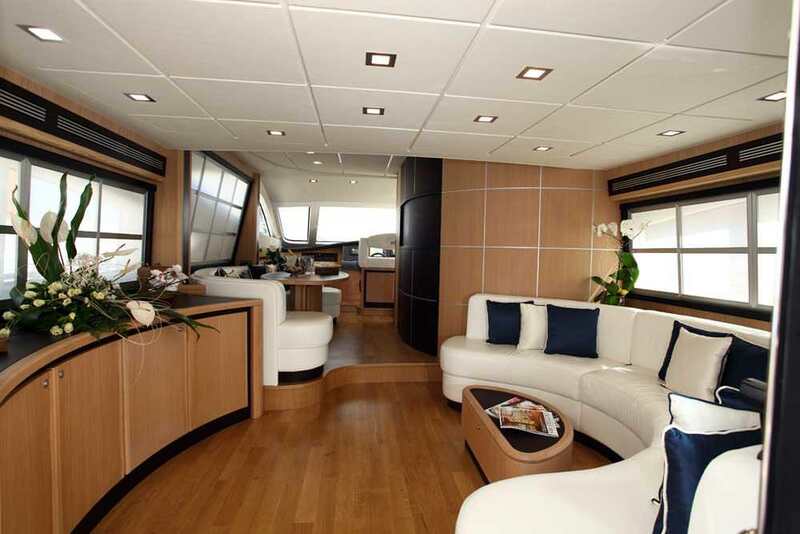 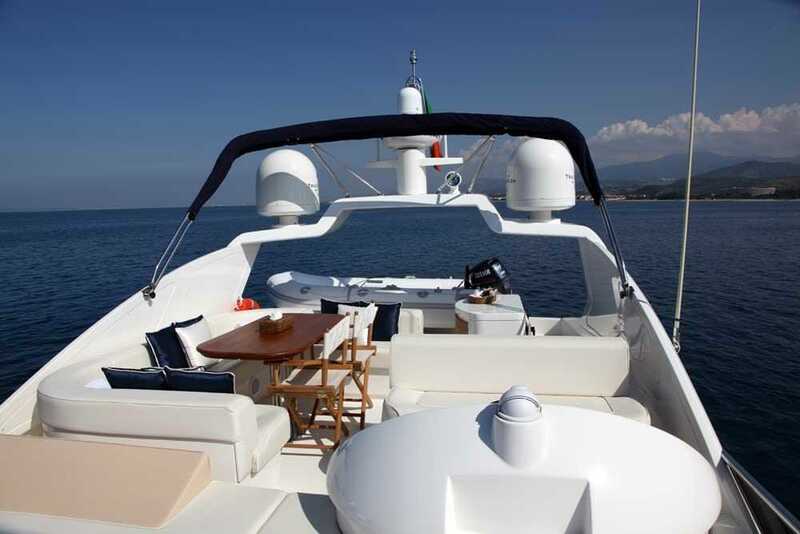 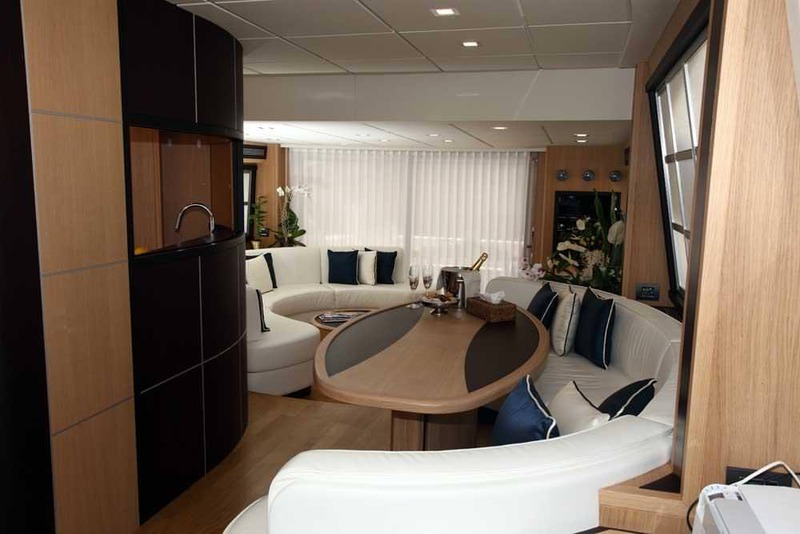 Her spacious outdoor feature a pleasant alfresco dining area on the aft deck, a large solarium on the foredeck and a wonderful fly bridge, equipped with a second alfresco dining option, a big sun bed, an outdoor helm station and a dedicated wetbar. 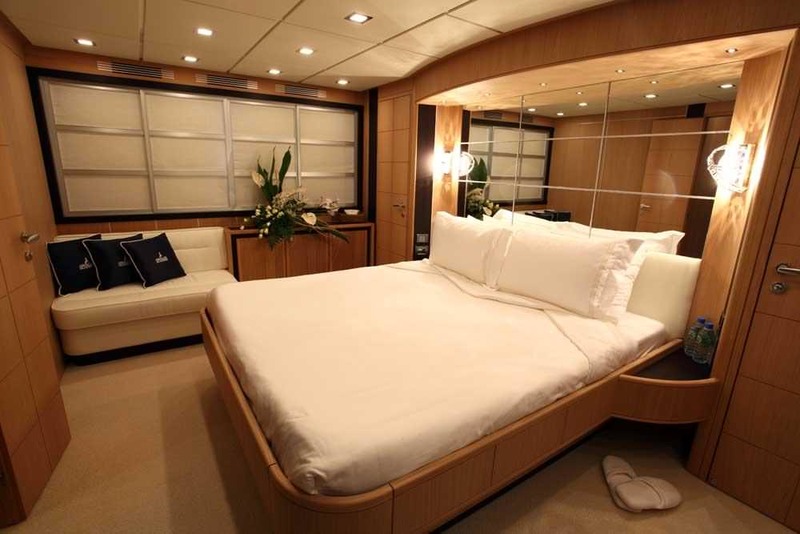 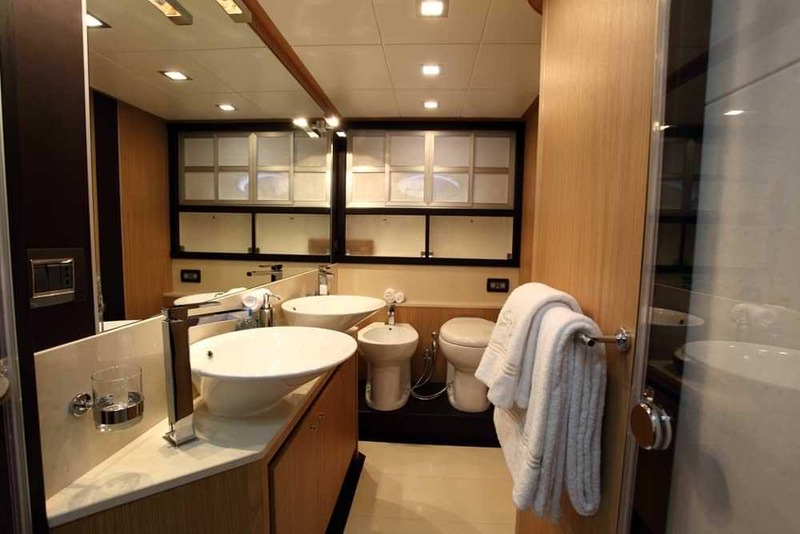 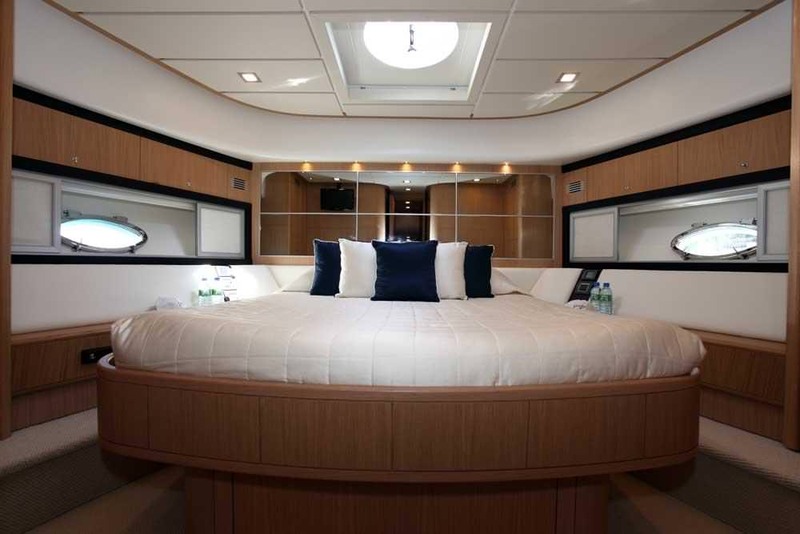 She can comfortably accommodate up to 6 guests in 3 exquisitely furnished suites: a master stateroom with plenty of storage and a vanity/desk, an elegant double suite and a twin cabin, all featuring an suite bathroom with shower, flat screen TV and air conditioning. 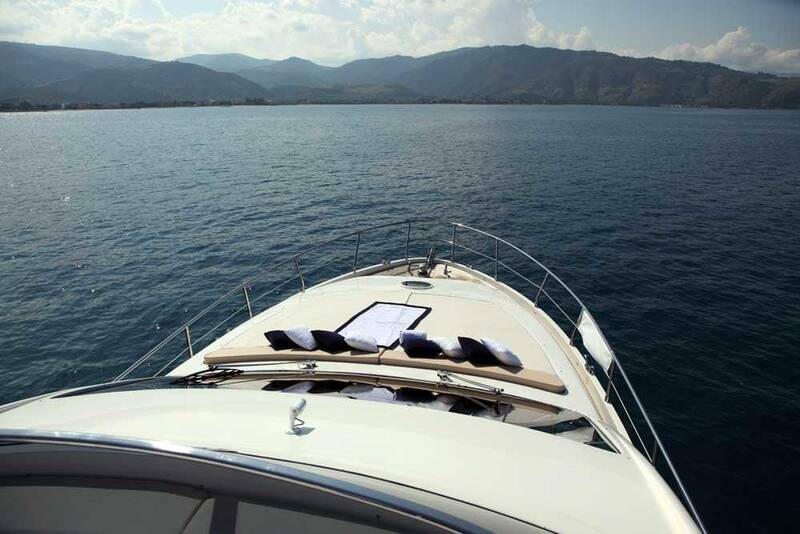 Thanks to her high top speed, Gaby is the perfect yacht to reach all those unbelievable secret spots in the Mediterranean and still be back in port in time for a sunset happy hour!